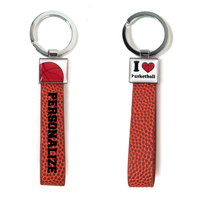 Honor your #1 Dad this Father's Day with a gift that expresses his passion for basketball! 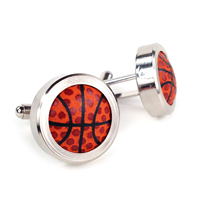 He roots for his favorite basketball team all too passionately. He has sports memorabilia scattered all over the house reminding him of great moments from the past. 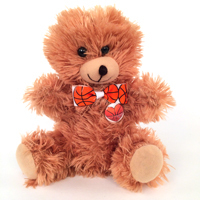 You can help him celebrate his love for the game with an everlasting Basketball Rose. This Father's Day, give your dad a unique gift that he'll show off to all his friends. 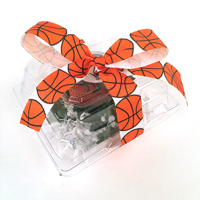 Basketball Roses are artificial roses handcrafted in San Diego, California from actual basketball material. The Father's Day Basketball Rose is imprinted with "Happy Father's Day! #1 Dad" on one of the petals. For an additional charge, we can also personalize a 2nd petal with another message up to 15 characters in length. Each year it becomes more and more difficult to find that perfect gift for Dad on Father's Day. You may have found yourself running to the mall in the past to buy him a last-minute generic gift, but that doesn't show how you value his interests. Imagine the expression on your dad or husband's face when his son or daughter presents him with an everlasting rose that features petals themed for his favorite sport. Show Dad your love and care by giving him a special keepsake that he will treasure forever. 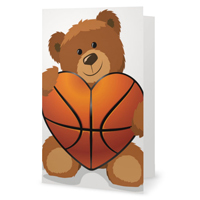 He will proudly display his Basketball Rose at his office, in his man cave, or memorabilia display to symbolize his passion for his sports. 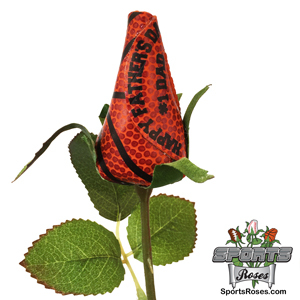 The Father's Day Basketball Rose will only be available for a limited time. Order early to guarantee arrival by Father's Day. 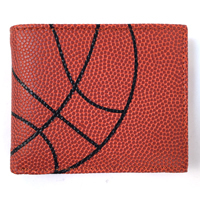 Accessorize the Father's Day Basketball Rose with officially licensed accessories for Dad's favorite team and other Basketball-themed gifts. See related products below.